Do you fancy yourself as a DJ? Everyone, who works or wants to play around as a DJ, will need to equip him or herself with a great turntable. Of course, purchasing a turntable isn’t necessarily easy. The process can become a little more difficult, if you wish to purchase an affordable turntable under £200. 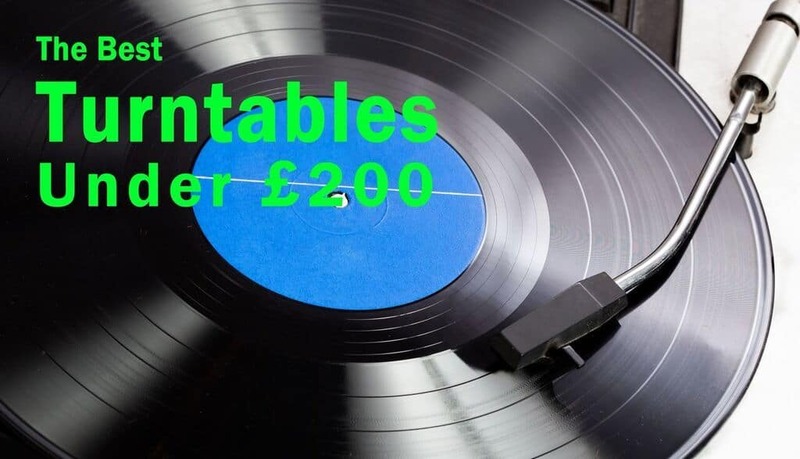 The nostalgia provided by a turntable is well worth the cost, even if you purchase one from our best turntables under £250 guide. Within this guide, you’ll learn how to purchase the very best turntable, which is reliable, delivers a good performance and is entirely affordable! When attempting to purchase a turntable, there are several different things to look for. Below, you will find a breakdown of each of these. Price – There is no doubt that price is going to play a role in your decision. Still, it is possible to purchase a great turntable for under £200. Setting a budget for your self is absolutely vital, before moving forward. USB Compatibility – Would you like to be able to hook your turntable to your computer? If so, you will want to choose one that offers USB capabilities. This is a fairly new technology for turntables, but it is extremely helpful. It’ll give you the ability to transfer your old records into MP3 files on your computer. This feature is highly recommended. Manual or Automatic – The cueing systems of these machines can be manual or automatic. When a manual system, you’ll need to physically lift the arm and place it onto the record, in order to make it play. If you’re looking for a more convenient option, where you can just push a button and play your record, you’ll want an automatic cueing system. Platter – The platter is the portion of the turntable, which rotates and spins the record. Typically, it is best to find a turntable, which has a much heavier platter. This will help to ensure that your record vibrates less and that your music doesn’t skip. Portability – Over the years, some record players have become much more portable. If you want to be able to take your record player with you, you should make sure to choose one that is convenient to transport from location to location. Belt Drive or Direct Drive – The most important aspect of all could very well be the drive mechanism of the turntable. You have belt drive and direct drive. Honestly, a belt drive turntable is much less expensive, but the direct drive is much better and will serve you better. The belt system utilizes a belt to turn the record and the belt can slip off occasionally. Therefore, you should try to find a direct drive system, if possible. Each and every one of these factors is absolutely vital and should not be ignored. Below, you will discover some of the best turntables, which are affordable and worth your time. Are you looking for an affordable turntable, which delivers excellent audio quality? The Sony PSLX300USB is an excellent turntable that matches these characteristics perfectly. It is equipped with two individual speeds, 33 1/3 and 45 RPM, which guarantee that you’ll be able to play all of your records, without difficulty. 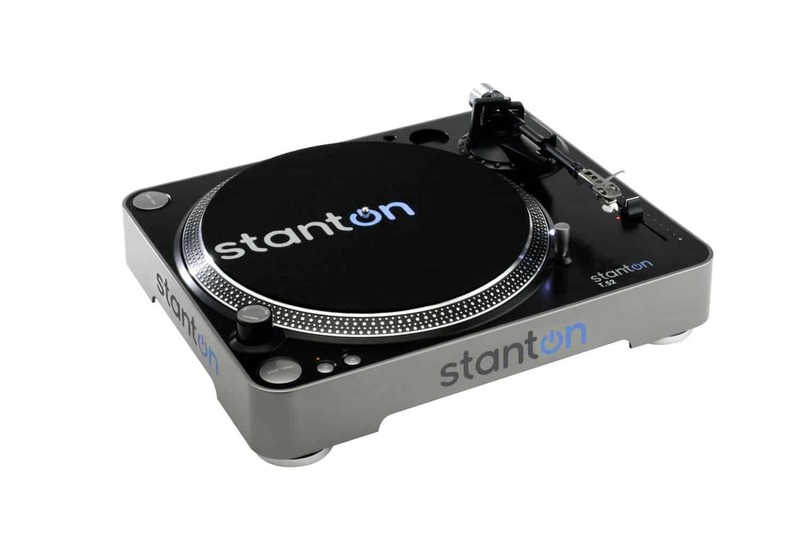 The turntable is equipped with an USB audio output jack, which offers more versatility. This is a belt driven system, which works well, but may give some concern in the future. With fully automatic operation, you won’t have to lift a finger, in order to listen to your favorite tunes. The turntable is a little bit heavier at 6 pounds, but this doesn’t present a problem and won’t make the turntable difficult to transport. For the price, this particular turntable delivers excellent sound quality, which will be sure to please everyone. 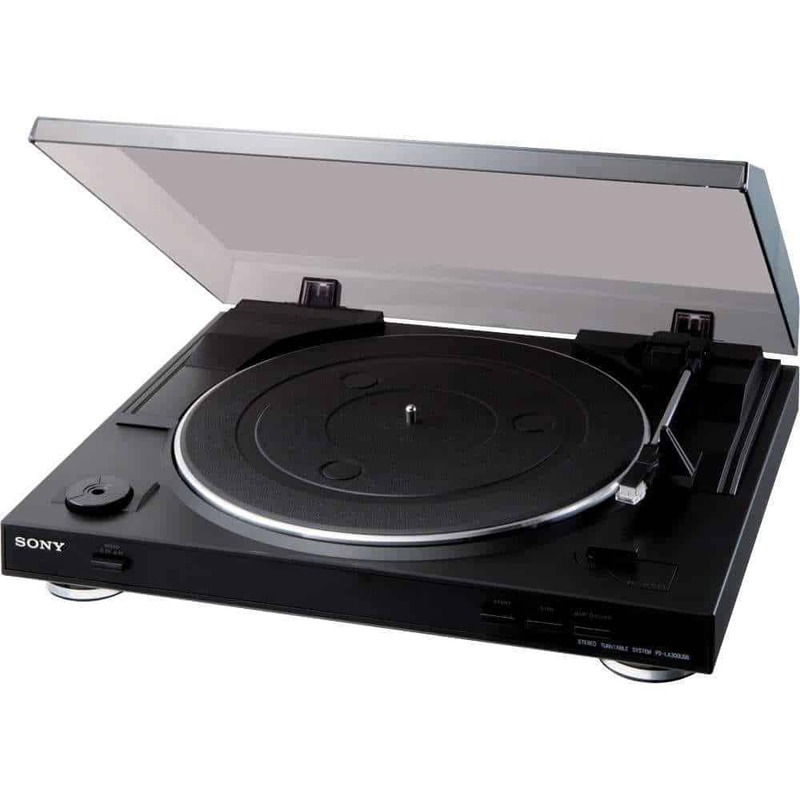 Overall, the Sony PSLX300USB Turntable is an excellent option for most consumers. It does include a few flaws, but they’re not deal breakers. Instead, this turntable offers an excellent performance, USB compatibility and an automatic operation. For that, this one is well worth exploring further! If you’re looking for a turntable that is completely stylish, the Pioneer PL-990 Automatic is well worth checking out. This turntable offers a very modern style, which will definitely look great in your home. Also, the turntable is equipped with a fully automatic system. This offers tons of convenience, since you won’t have to mess around with the tone arm. The system will automatically do everything for you! The tone arm is very low mass, which makes it highly sensitive. This allows it to track the records better and deliver better audio to the consumer. The turntable offers two speeds, which ensures you’ll be able to play 45s and LPs perfectly. This machine is lightweight and only weighs about 5 pounds. This makes it easy to move the item around, without much difficulty. This one is equipped with a belt-driven system, but it works fairly well. Overall, Pioneer has done an excellent job with this specific turntable. It is lightweight, affordable and very stylish. It delivers excellent audio quality and is well worth checking out further! 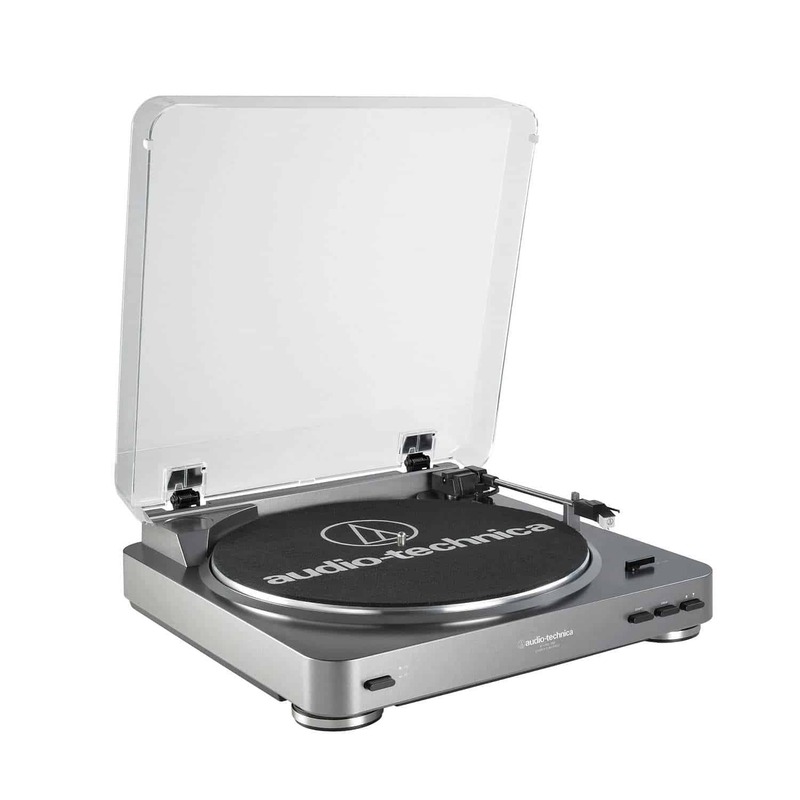 The Audio Technica AT-LP60USB is an excellent option for consumers, who wish to save money! The turntable is well under the £200 mark, but it is excellent in many areas. First and foremost, this turntable is equipped with a USB port. This feature will give you the ability to turn your favorite, old records into MP3 files on your computer. This particular feature is compatible with PC and Mac computers. In order to ensure that the turntable works excellently with your records, there are two speeds to choose from, including 33 1/3 RPM and 45 RPM. The overall design of the turntable is very cool and will keep the record protected, at all times. Once you’ve finished playing your records, you will be able to close the lid and protect all of the inner components. The switchable phono/line preamp gives you the ability to connect this laptop to your stereo system. This particular system includes a variety of accessories, such as a USB cable, recording software, 45 RPM adapter and many more. Overall, the Audio Technica AT-LP60 USB ﻿﻿Turntable is an excellent choice, despite having a few flaws. It is affordable, well made and very stylish! At the same time, it delivers excellent audio quality! For that, this turntable is well worth its price! Q: What budget amp would you suggest for this Techina turntable? A: This Model has a built in amp so only powered (computer speakers) are required! No extra purchases needed. Whether you are a professional DJ or just an avid enthusiast of those old vinyl records, you definitely have one thing in common. You need a high-quality turntable that will suit all your needs. If this is you, then the turntable that you need to be looking at is the Reloop RP1000M Turntable. The well-designed belt driven system provides all users with a strong start up and smooth breaking. Upon purchasing this product, you will receive a Reloop OM black cartridge, mounted on the headshell. Basically, giving you everything you need to get started right out of the box. The durable metal chassis and robust tone arm are both of the highest quality that you will ever see at such a low price. This is a very affordable high-quality turntable for the professional or any music lover. The turntable is capable of producing a pitch range of +/- 10. This is a very lightweight turntable that you can transport easily from location to location. This device is capable of operating at two different speeds 33 1/3, and 45 RPM’s. The starting torque of 1000 g/cm provides users with a very easy and quick start up. 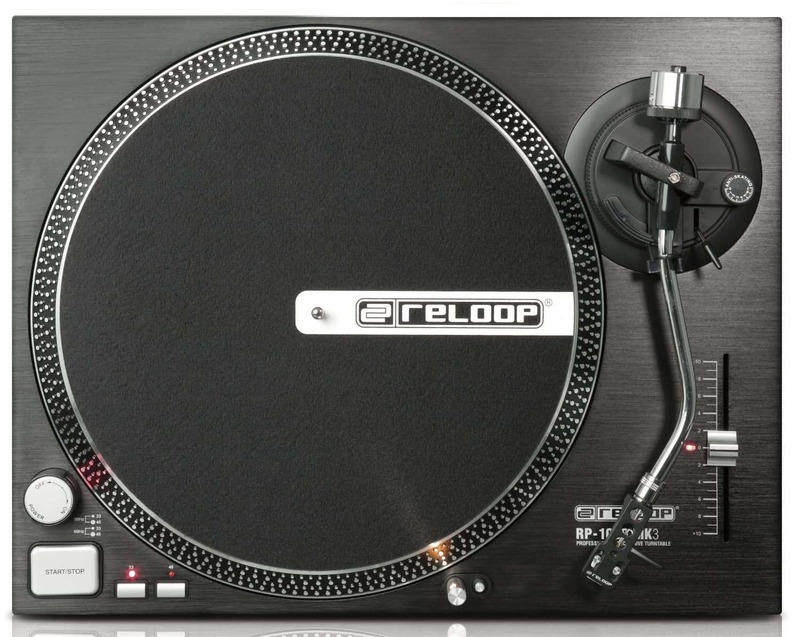 If you are searching for an inexpensive, but high-quality turntable, you should look no further than the Reloop RP1000M. Check out our list of best DJ turntables for beginners. "Sounds great!" - By Courtney W.
Q: Does this Reloop Record turntable come with a dust cover? A: This turntable does not include a dust cover, but they are very easy to buy for normally one fits all. Are you looking for a great turntable, which is very stylish? The Stanton T52B definitely fits that mold. This particular turntable is equipped with 2 playback speeds, including 33 and 45 RPM. There are two start and stop switches, which makes the turntable great for mix and battle setups. This is a belt driven system, but it is well built and will last you for many years. The turntable offers RCA stereo outputs and all of the necessary RCA cables are included. A pitch control slider is provided and allows you to make adjustments up to 10% or minus 10%. This particular turntable might be missing some of the features provided with more expensive alternatives, but it performs its purpose admirably! It is easy to setup and delivers excellent audio quality. In the end, the Stanton T52B Belt-Drive Turntable is great in many regards. However, it is lacking several key features, including USB compatibility. Still, it is excellent for the overall price. Be sure to check it out today!